With an increasing number of complaints about bed bugs, Marty and the team at The Aardvark Pest Management are stepping up and taking action. Marty Overline points to Philly’s identity as the primary cause of its bedbugs problem. Two weeks ago City Councilmembers discussed ways to encourage more residents with an infestation to take care of the problem before the bugs spread. The group is creating a Bed Bug Task Force – members of which Councilman Mark Squilla said Wednesday will be announced in January – to develop a strategy and a policy to guide the city’s attack. “We need to get ahead of it,” Squilla said. For those who may currently suffer from bedbugs, Overline suggests removing clutter, vacuuming and remediate anything that carries the crawlers, which could include the bed frame, mattress, couch, recliner, computer chair. ​Other than the home, where else do bed bugs hide? Overline built a vehicle specifically designed to handle the creepy crawlers. 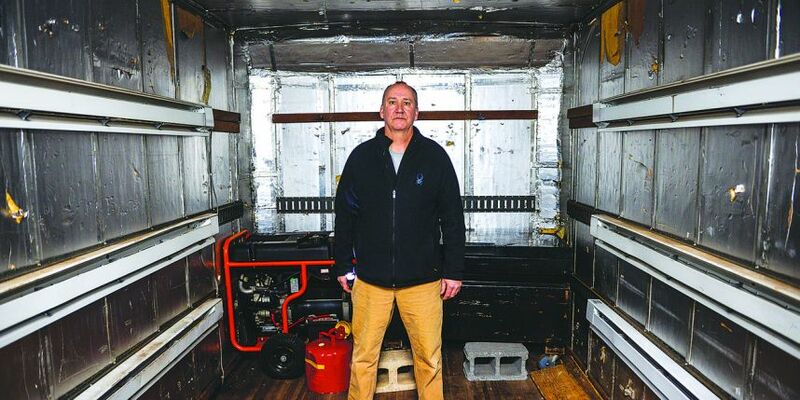 He built an oven-truck, which heats up bed-bug infested clothes and furniture to 120 degrees to kill the creatures.